Note: This is a free Renaissance setting of the piece. If you are looking for an easy modern arrangement of Greensleeves go here. Here’s a free sheet music edition of Elizabethan lutenist & composer Francis Cutting’s (c.1550–1596) setting of Greensleeves. This piece is originally for lute [Source: GB-London, British Library, Add.31392]. 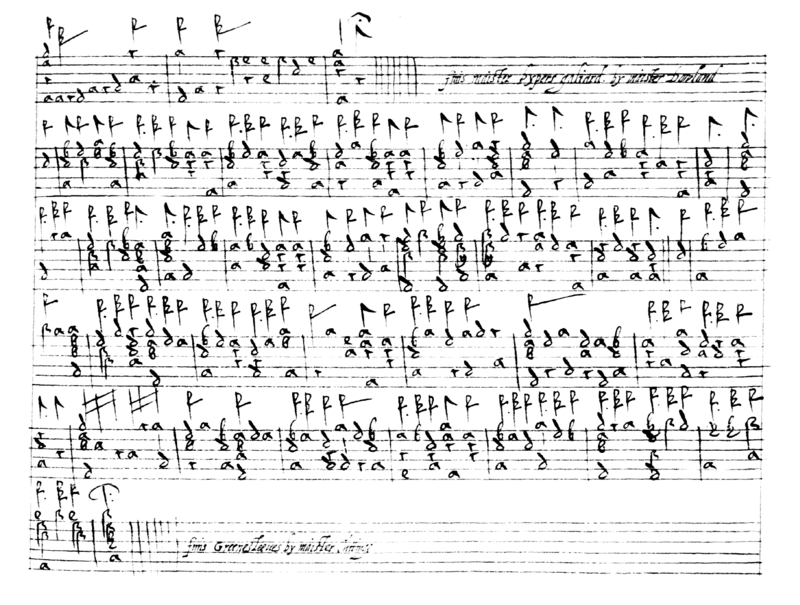 See the original lute tablature here. I’ve fingered the music for for regular guitar tuning but also see the clean score at the end for alternate fingerings or to use relative lute tuning. It’s a bit tricky but once you can navigate the chord shapes smoothly it’s more on the early intermediate side. Join the Email Newsletter to get updates on free sheet music and more. Please consider donating to the site to keep the free sheet music coming.